Creamed honey, also known as whipped honey, honey butter, or spun honey, is a type of crystallized honey that has been processed using temperature controlled methods to bring about a rich and creamy texture. Creamed honey has a texture similar to peanut butter. Our award winning creamed honeys are one of Annas Honeys best sellers. The elegant faceted jar gives this honey a stylish appeal for your dining table, and is a unique feature of our gourmet honey line, reminiscent of an adorable honey pot. Anna's Creamed Honey blended with Pacific Northwest fruits and cinnamon is a sweet, natural, and fat free treat. With its smooth, luxurious texture Anna's Creamed Honey is an easily spreadable replacement for peanut butter or jam. Enjoy a generous helping on your favorite toast or bagel, or use as a dip for cookies and graham crackers! 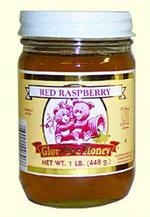 Anna's Raspberry Creamed Honey is among our most popular products. This spun honey blended with Pacific Northwest natural raspberry juice is one of the best gourmet treats available from Anna's Honey. Try this delicious treat on crackers or toast for a healthy, fat free snack. 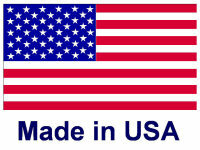 Proudly made in Eastern Washington. This lightly sweet, Northwest honey has a mild floral essence and a warm, pleasant aroma.